Hawaiʻi could produce nearly all the food it consumes by using lands traditionally cultivated by native Hawaiians. So says a new study published in the March journal Nature Sustainability. The authors say some of these agricultural lands have the potential to produce food even with climate change. HPR Reporter Kuʻuwehi Hiraishi has more. 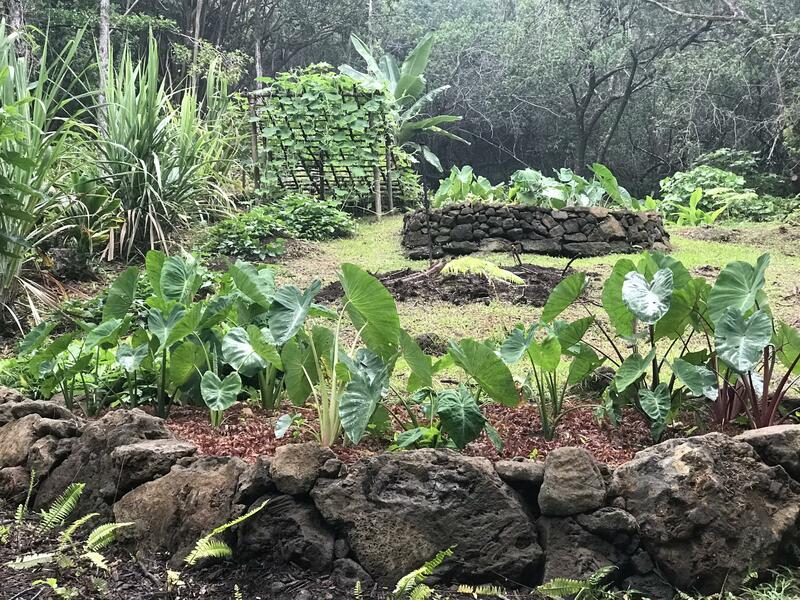 Researchers from Kamehameha Schools, UH Mānoa, and the U.S. Geological Survey have mapped lands on all major islands traditionally used by native Hawaiians to produce food. “Our study is basically showing that pre-colonization, pre-contact kanaka maoli agriculture was highly productive, it was efficient and it was supporting really large populations,” says Hawaiʻi ethnobotanist Natalie Kurashima, the study’s lead author. These indigenous ag lands have the potential to produce over a million metric tons of food per year. Where? Well, areas like the taro fields of Hanalei, Kauaʻi, and the dryland forests of Kona, on Hawaiʻi Island. Kurashima says surprisingly urban development spared most of these lands. To project the future potential of these lands, researchers analyzed several climate change scenarios – accounting for factors like higher temperatures and changes in rainfall. “Fourty-one percent of the lands that were traditionally farmed, those areas are going to be resilient to a wide range of climate shifts,” says Kurashima. The study found resilient areas are concentrated mainly on the windward sides of all the islands. Kurashima restores traditional ag lands as a natural resource manager at Kamehameha Schools. She believes Hawaiʻi could grow enough food locally to sustain itself. Its a long way to go for Hawaiʻi to produce all of its own food, afterall nearly 90 percent of what we eat is grown outside the state. But Kurashima says that goal is not impossible.